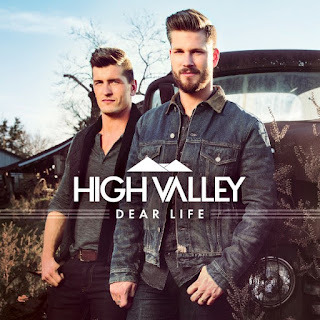 Breakout duo High Valley revealed the November 18 release date and album cover for DEAR LIFE today via their app. The release will mark brothers Brad and Curtis Rempel’s major label album debut. The highly anticipated project will feature the Top 30 and climbing at radio hit, “Make You Mine.” Written by High Valley’s Brad Rempel, along with Ben Stennis and producer Seth Mosley, the high-energy track has already garnered more than 3.6 million streams and over 1.7 million views of its official music video. High Valley and “Make You Mine” are catching the attention of the critics too, already having been named “Artist To Watch” by Taste of Country, CMT, Spotify and “Country Song of the Summer” by Billboard. For more information, please visit highvalleymusic.com and follow HighValley on Twitter, Facebook and Instagram.